I still remember the first book I was able to read to myself and enjoy: Green Eggs and Ham. I read the whole thing sitting in the reading corner of my classroom, and I loved it. The green eggs and ham started to look quite delicious to me, and with Sam's urging, I would have eaten them on a boat, with a goat, etc., etc. Reading with my children (one is 3 and a half, and the other is about 16 months) as been one of my most enjoyable activities as a mother. One of my simple joys during a long day has been to read some of my old favorites, and to discover some new ones with my kids. In no particular order, here are some of my favorites (besides Green Eggs and Ham, of course)-- new and old. 1. Corduroy. Unfortunately, my son has decided he is "scared" of this one (no clue why), but I'm sure it'll grow on him. I like the message that you don't need to be perfect (that darn missing button!) to be loved. 2. The Fancy Nancy Series. This is a newer series that I learned about after my daughter was born. I thought it looked like just another girly-girl princessy book, but when I read it to her, I LOVED it. The premise, if you aren't familiar, is that the main character, Nancy, desperately tries to be as "fancy," as possible, despite her "plain" but loving family. The vocabulary and lessons in each book are fantastic, and the illustrations are beautiful. 3. Just about anything Roald Dahl. My kids aren't quite old enough for Matilda, James and the Giant Peach, George's Marvelous Medicine, and the others, but I'm already looking forward to when they are! 4. Shel Silverstein's books of fanciful and fun poems and illustrations. Where the Sidewalk Ends and A Light in the Attic are two that I especially remember. I look back now and see how bizarre some of the poems are, but did I ever LOVE them when I was growing up. I still remember many of the poems and their accompanying illustrations vividly. He clearly knew how to connect kids to words and a love of poetry. 5. 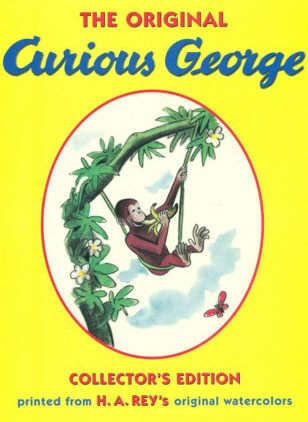 Curious George books. It is great to see these have made quite a comeback in recent years, with pictures of the infamous little monkey on countless t-shirts, puzzles, and games. 6. 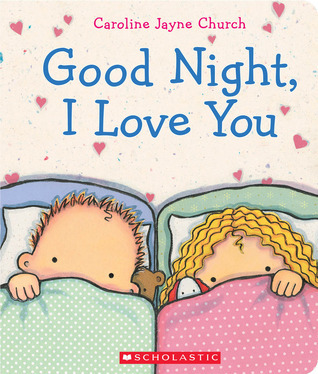 Maybe it's the illustrations, the simple stories, or the squishy covers, but there is something I'm drawn to about these happy books (I Love you Through and Through, Goodnight, I Love You, and How do I Love You? ), illustrated by Caroline Jayne Church. They are just the right length to read with your little one before bedtime or nap time [no need to skip words!]. 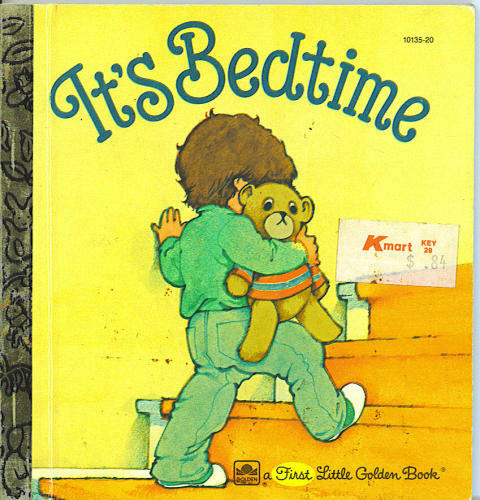 It's Bedtime might have simply vanished into the depths of my distant memory, but fortunately for me, my mom found it when she was cleaning out her old house. I immediately recognized the cover and put it on a high shelf in my closet. I read it to my son last night for the first time and could feel tears welling up as I saw my favorite pictures again. There may be nothing very unique or unusual about this book or it's words, but clearly there was something I loved about it, and now it feels like I own a treasure. Please comment if you think of others! I love learning about new books. I'm also a contributor for the fun What the Flicka and the lovely Mamalode.